A Basketball goal is scored when a team shoots the ball into the basket. Two points are awarded when the player is near to the basket or closer to it than the three-point line. Three points are awarded when the player shoots the ball into the basket behind the three-point line. Violations of rules during the progress of play are called 'fouls'. A personal foul or a technical foul will give the opponent team a free throw. Dr. James Naismith is credited for creating the game on a rainy day of December 1891. Springfield College in Springfield, Massachusetts, USA thus became the first basketball court. In early days, the basketball blackboards were actually made of wire and the hoops were originally peach baskets. In the very beginning the color of the basketball was brown, but later it was changed into a brighter color; that is orange. 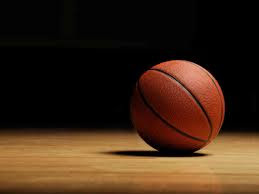 The first basketball game took place in 1982, where the court was half the size of today's courts, and only one point was scored during the match. The NBA (National Basketball Association) was founded in 1949, after the combination of the NBL (National Basketball League) and the BAA (Basketball Associate of America). Basketball was first played by a soccer ball untill it was changed in 1929. Michael Jordan is considered one of the best basketball players around the world. The record score of 5,987 made him a legend in the world of basketball. The reason why a backboard was added is because the audience in the balcony used to interfere in the game by handling the ball. Michael Jordan, who retired in January 1999 but returned to the league in 2001, has scored more points (5,987) in the playoffs than any other player. The Naismith Memorial Basketball Hall of Fame is located in Springfield, Mass. James Naismith, a teacher at a YMCA in Springfield, Massachusetts, is credited with inventing basketball in 1891. The first “hoops” were actually just peach baskets and the first backboards were made of wire. The game became an official Olympic event at the Summer Games in Berlin, Germany in 1936. Two leagues called the National Basketball League (NBL) and the Basketball Association of America (BAA) merged after the 1948-49 season to become today's National Basketball Association (NBA). The Boston Celtics have won the most NBA championships (17), including seven straight from 1960 to 1966. Kareem Abdul-Jabbar, who played 20 seasons in the NBA, holds the record for most points scored in a career with 38,387. On March 2, 1962, Philadelphia center Wilt Chamberlain scored 100 points in one game against New York. That is the most one player has ever scored in one game. Current Atlanta Hawks coach Lenny Wilkens has won more basketball games than any other coach. The NBA instituted the three-pointer before the 1979-80 season, an idea it borrowed from the ABA. The Chicago Bulls have won all six NBA Finals in which they've appeared. In 1967, slam dunks were considered illegal; nine years later it was legalized again. The first hoop was like a peach with a bottom and every time a team scores, the referee would climb a ladder to get the ball. Women's basketball began in 1892, and some rules were modified to fit women. The game was made an official Olympic game in berlin Germany, 1936. The first official game was played in the YMCA gymnasium in Albany, New York on January 20, 1892 with nine players. The game ended at 1–0. Some rules of the game are dervied from the childrens game - Duck on a Rock. In the first Inter-college match, the School of Agriculture from the University of Minnesota Defeated the Hamline School of Hamline University. Early basketballs are actually Brown in color and later changed to the lighter Orange color. Until 1929, a basketball game was played using a Soccer ball. The Basketball Association of America (BAA) was formed in 1946. In 1949, the BAA merged with the National Basketball League to form the National Basketball Association (NBA). The NBA-backed Women's National Basketball Association (WNBA) began in 1997. The International Basketball Federation was formed in 1932. Mens Basketball was part of Olympic Games since the Berlin 1936 Summer Olympic Games. Women's basketball was added to the Olympics in 1976 Montreal Olympics. In 1989, FIBA dropped the distinction between amateur and professional players. The only member of both the football and basketball hall of fame is Cal Hubbard. Michael Jordan became popular when he scored 16 points while playing for the Chicago Bulls. He scored more points (5,987) in the playoffs than any other player by the time of his retirement. pumping, libido rising and female sexual desire increasing.